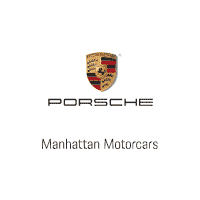 Manhattan Motorcars has always been committed to providing car shoppers in Times Square with a wide array of options when it comes to owning a car from a formidable car brand all over the world, that is, Porsche. We have been known not just for providing a wide range of new and used Porsche cars but also for extending our services to those who need repair and maintenance for their Porsche vehicles. We believe that there is a privilege that comes with owning a Porsche automobile that is why we have various Porsche auto parts in our inventory that can be used to upgrade or repair your ride. Visit us today at Manhattan Motorcars and see what else we can offer. Times Square is noted for being a major commercial intersection, tourist destination, and entertainment center in New York. Located in New York City’s Midtown Manhattan, the neighborhood is located at the junction of Seventh Avenue and Broadway. There are other names with which the neighborhood is known for including ‘The Center of the Universe’, The Crossroads of the World’, and ‘The Great White Way’. It is also notable as the hub for the Broadway Theater District.